That nice old Michael Karkoc down in Minneapolis. Retired carpenter, churchgoer, liked by everybody. 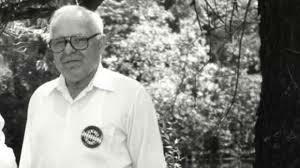 If the allegations are correct he was a high-ranked Nazi commander responsible for the massacre of many Polish civilians during WW2. Who would have thought? Karkoc is only unusual in that he has been identified. Among us today are many murderers never brought to justice. Between 1962 and 1964 thirteen women were strangled to death in the Boston area. 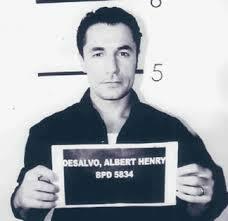 A man, Albert DeSalvo, confessed and was convicted. Since then it has been thought that it was highly unlikely that DeSalvo was the killer – there are far too many inconsistencies and in fact DNA analysis has cleared him of one of the murders. He was however an attention-seeker and, properly convicted of a separate crime, he thought he’d like a bit of extra publicity while he was about it. So, residents of Boston, take a second look at that old chap sitting on his porch, throwing a ball for his dog. Could the real Boston Strangler be him? In November 1974 21 people were killed and 182 injured by two bombs. The same night six lads were arrested at Heysham waiting for the Belfast boat. To the acclaim of the public they were convicted and locked away. 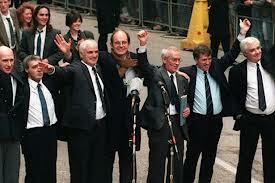 Sixteen years later they were released on second appeal. The confessions had been beaten out of them and the crucial forensic evidence was seen to be pathetically weak. Which of course leaves a question. It is apparently an open secret who the bombers actually are. The top IRA people know, the UK Special Branch know. The survivors and relatives of those killed continue to push for arrests and trials. So, next time you’re in a Dublin bar, take another look at that couple of old fellas drinking their pints in the corner. Edge closer. Try to hear what stories they’re chuckling about. 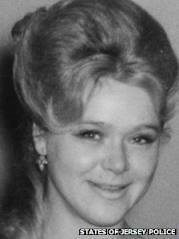 In December 1966 the beautiful Tuula Hoeoek left her lodgings in Spencer Close (around the corner from where I live) and walked to the bus stop at Georgetown. She was due to meet friends at a hotel out along the coast road. She was last seen alive waiting for the bus in the pouring rain. The next morning she was found battered to death at the entrance to a field down a lonely lane in St Clement. Those first on the scene destroyed any chance of preserving useful evidence and no one was arrested. To their credit the Jersey Police have recently re-opened the case and have been pursuing new lines of enquiry despite the passage of time. However it looks likely that their efforts will prove in vain. So, that creepy old bloke who you see leaning on his gate as you walk to work – was he the murderer? Is he still alive? If so, where is he? Yikes – very scary indeed. I often wonder about unsolved murders and where the killer is living (not next door to me I hope). At least I hear Ned Kelly’s dead Dianne, one less to worry about. Food for thought! Quite creepy! Certainly does. Mind we all have secrets, but some are more dastardly than others. I’m starting to think you’ve missed your calling as a true crime writer. You had me riveted with each of these stories. I hope some, if not all, get resolved. Tip of the iceberg Julie. Certainly it is tempting to speculate on what happened on the night of poor Tuula’s murder and thereafter. It just amazes me that some people can keep such very dreadful secrets so close to their hearts. After reading your post, I think I’ll stay in for the night. 🙂 Enjoy the rest of your weekend, Roy! I tend to think the best of everyone I meet, even if I know nothing about them. So yes, this post makes me realize I should stop and think before I smile. Like, the neighbor who lives right next door, European accent, wicked gleam in his eye. Sure, he’s over 90, but still…. Roy – this last murder was a little close to home, right? And I’m sure the birmingham six are thankful that their wasn’t capital punishment, Michael karcot may have some pretty dark secrets torturing himself, underneath that well liked veneer. Like you say – who would have thunk? Yes, poor kid just starting her life. Her sister was killed by her husband as well just to add to the parents’ sadness. Fortunately capital punishment is no longer an option, in most of Europe anyway. In an earlier time the Six may well have been wrongly executed. Oh dear; I’m looking at my neighbors in a different light, Roy! Ha ha! They’ll all be saying ‘why are you looking funny at me like that Letizia?’ But you never know. Yes I reckon a call to the locksmith is in order AMB, and don’t answer the door to anyone!